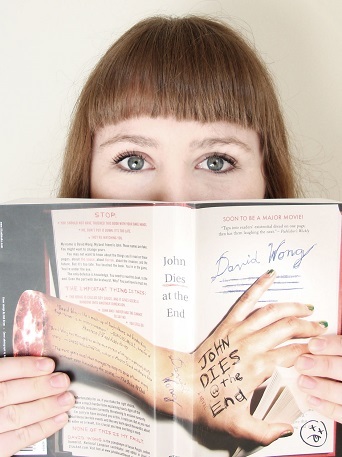 ‘John Dies at the End’ – David Wong 2011. This book was an odd choice for me, a whim really. It was mentioned in passing and the title intrigued me. Would I enjoy reading a book where the (presumed) main plot point is revealed in the title? I thought I might, and ordered it. It was only really downhill from there. This post is going to contain a lot of spoilers, so if you were intending to read the book, I suggest you look at some cute pictures instead. ‘John Dies at the End‘ was written by Jason Pargin, editor of Cracked, as a series of extended blog posts under the pseudonym ‘David Wong’, which is also the protagonist’s name. There are so many things about this novel that don’t work, and many of them can be tied to the inexperience of the writer and the format in which it was originally created, compounded by what I suspect was a complete lack of editing. The format is a common one, with David Wong is recounting his adventures of the past year to a reporter, in the setting of the present day. As David is telling his own story, and often suggests he is ‘mostly’ honest, he falls into the category of an unreliable narrator, in much the same way that Nick is in ‘The Great Gatsby‘. There are brief interludes which focus on the reporter and David, but for the main 3/4 of the novel the action is taking place in the past. While this is a style which can work very effectively (it was one of my favourite elements of Patrick Rothfuss’ The Name of the Wind) here it becomes increasingly irritating as the book progresses. When the ‘reporter’ plot point is finally resolved as being just a ‘projection’ and the segment of ‘retelling’ is finally over, the book almost redeems itself. The writing style and the plot is much more interesting in the final 50 pages then in the preceding 400. Unfortunately I still strongly disliked this book in the end. Simply because it promised me one thing, and much like ‘The Clash of the Titans‘ in which no Titans actually clashed, ‘John Dies at the End’ let me down. In fact, I am prepared to say that if John had actually died I might have been able to say that the few hours of my life that I spent reading it weren’t wasted. But as the most undeveloped, irritating character lives on, I must add this book to the list of missteps in my reading history. ‘The Great Gatsby’- F. Scott Fitzgerald 1925.